I can't even begin to express how great it feels to be writing on here again, even if it is just a quick post. I'm still working my way through the end of my undergraduate career, only four months left, yes I am counting down. Right before winter break ended I met up with some friends to shoot a collaboration for their line. You've seen their brand The Bra Lab on my blog before, but it's getting bigger and better. Even though it is currently in the single digit weather here in Chicago there are plenty of fun ways you can still wear this bra (just wait until my next post for some winter appropriate inspiration), I love the freedom and creativity behind the design. This collaboration what the perfect way to end my break with a bang. I had an amazing time with the wonderful ladies behind this revolutionary piece. I am honored to call them my friends and look forward working with them again very soon. 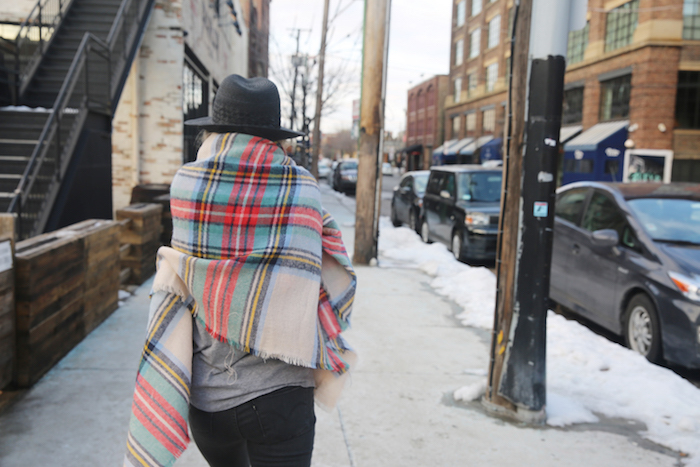 Until then check back next week for another Katelyn Masek X The Bra Lab street style post!